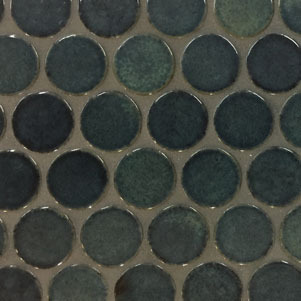 Aqua Mares Jumbo Pennyround mosaics have a gorgeous blue-green glaze. 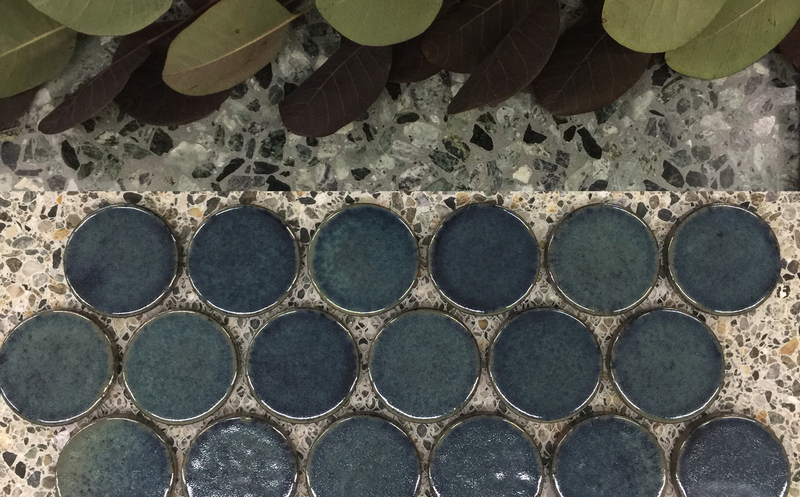 These glazed terracotta mosaics have a wash of colour and unique variation across each individual piece. Suitable for wall applications.